Orders over £100 are Posted for Free! We now post to Europe, the USA and Canada! Incense has been used for Centuries as a means to aid in Rituals, Spell work and Cleansing Rites. It not only affects our Moods but also the surrounding energy and vibrations. 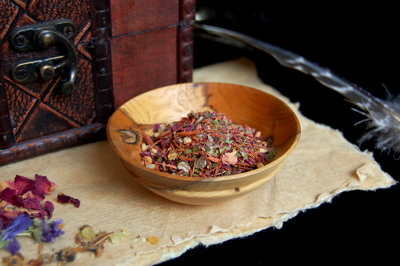 This Beltane Incense has been Hand Blended by *Moon Goddess Garden* and includes all natural herbs, barks and resins to celebrate the Beltane season and is to be burnt on a Charcoal Disc. Each bag of Incense will measure approx 2" by 3" and will come in a grip seal bag for freshness.